This recipe saves calories by substituting equal parts cooking oil with Mott's applesauce. Preheat oven to 350°. Lightly grease a 9x9-inch baking pan and set aside. In a bowl, combine sugars, butter, applesauce, egg, and molasses. Mix all ingredients together well. In another medium bowl, combine flour, baking soda, cinnamon, ginger, nutmeg, cloves, and salt. Gradually add dry ingredients to the applesauce mixture, and mix until just combined. Stir in water and pour mixed batter into prepared baking pan. Bake 55-60 minutes until a toothpick inserted into the center of the gingerbread comes out clean. Remove gingerbread from oven and allow to cool completely. Serve with whipped cream and caramel sauce – get creative with your decorating! 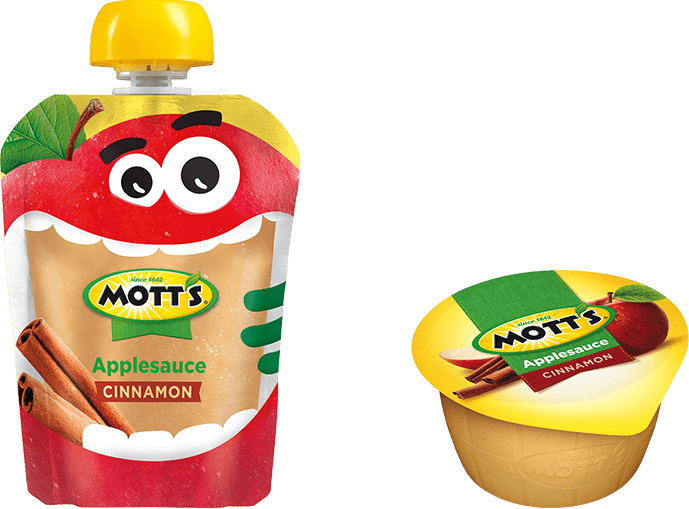 Mott’s and Mott's for Tots are trademarks of Mott's LLP. © Mott's LLP.